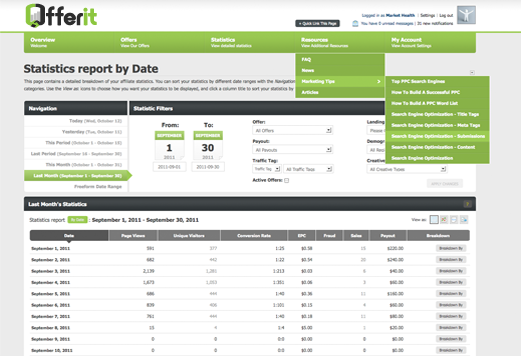 Offerit's Affiliate statistics reports are second to none when it comes to providing your affiliates with detailed real-time statistics. Your affiliates can quickly find the offer they wish to promote, create a campaign, and begin to deliver traffic to your network. 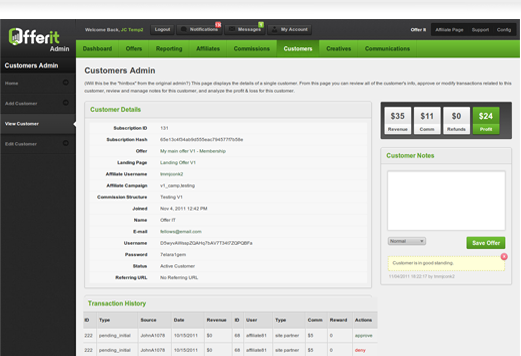 Affiliates can easily keep their account up to date via the My Account section of your network's affiliate interface. 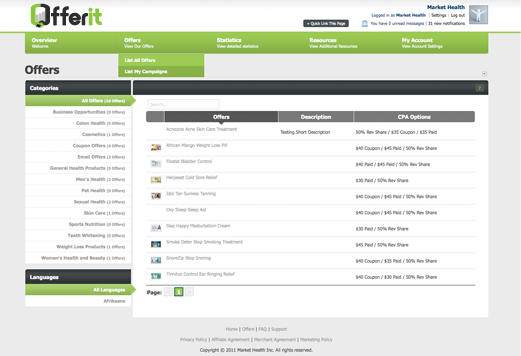 The Offerit Administration panel is 100% web based, easy to use, and available 24/7 for you to maintain and update your affiliate network. Should you ever need it, technical assistance is available 24/7 from our online support ticket system. Never worry about servers or network infrastructure. Our SaaS solution grows with your affiliate network. Set up of your network can be completed in a matter of minutes. Launch today and grow your business immediately. 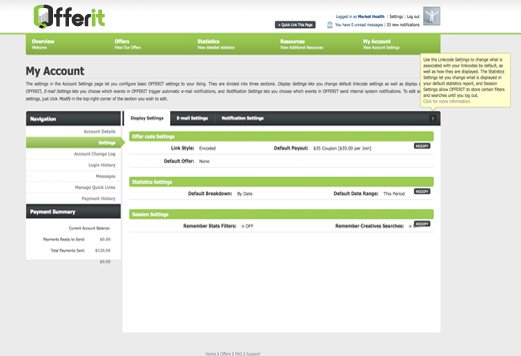 All configuration is completed within our easy to use web-based administration panel. No Technical skills required. Our complete theme builder allows you to customize the look of your network without ever touching a template or HTML file. 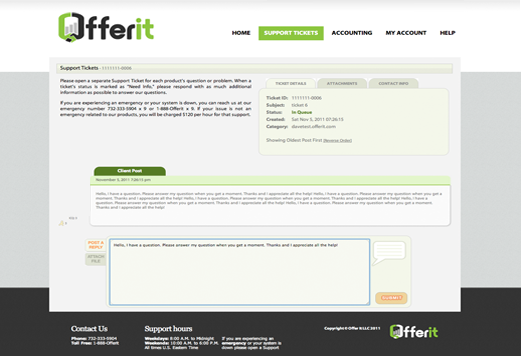 All accounts with the Offerit Platform include 100% usage of the features above. You have no limitations, no matter how big or small! No contracts. No set-up fees. Get started Now!